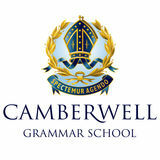 To facilitate, guide and provide assistance to all of the other special interest Support Groups within the school so that they can effectively and efficiently continue to provide specialist support for Camberwell Grammar School students in their chosen activities. To host major friend raising and fund raising events. To foster a spirit of community among the parents of the school and thereby enhance every students sense of belonging. Activities of the Parents’ Association The parents’ Association acts as an ‘umbrella’ body for the special interest Support Groups. It also involves itself in both fund raising and social events. The Association organises “Beginning of Year Cocktail Evenings” for various year groups, and, at various times, dinner dances, trivia nights, dinners, the school’s Open Day, and other functions. There is representation of the Parents’ Association on the School Council and there is a representative on the Victorian Parents’ Council. One out of every 10 families at the school is directly involved as a volunteer to one of these groups and many more families are involved as a participant in one of the Support Group activities or programmes. The School would welcome and appreciate your involvement and contribution.